The annual LECOM 5K for Excellence consists of a 5K Run/Walk and a 1-Mile Walk. The event takes place at Greenbrook Adventure Park which offers a scenic, point-to-point course during the beautiful March weather of the Florida Westcoast. The course is on a paved and packed-shell trail, with a short section of soccer field grass. You will enjoy a scenic nature route and be cheered on by our wonderful volunteers along the way. Water stations will be strategically placed to bring you hydration. The event also includes a post-race Health Fair with raffles for fun prizes. The 5K Run/Walk is a competitive event with bib-integrated timing tag. Awards will be presented to the top male and female overall and to the top 3 male and female finishers in each of the following age groups: 14 and under, 15-19, 20-29, 30-39, 40-49, 50-59, 60 & up. Pre-register by March 7 to be guaranteed a t-shirt on race day. Pre-race packet pick-up at LECOM School of Dental Medicine (4800 Lakewood Ranch Blvd, FL. 34211) southside entrance on Friday March 22 from 3-5 PM. Race packets can also be picked up on race day. Mixed trail of pavement and packed-shell, with a small section on soccerfield grass. 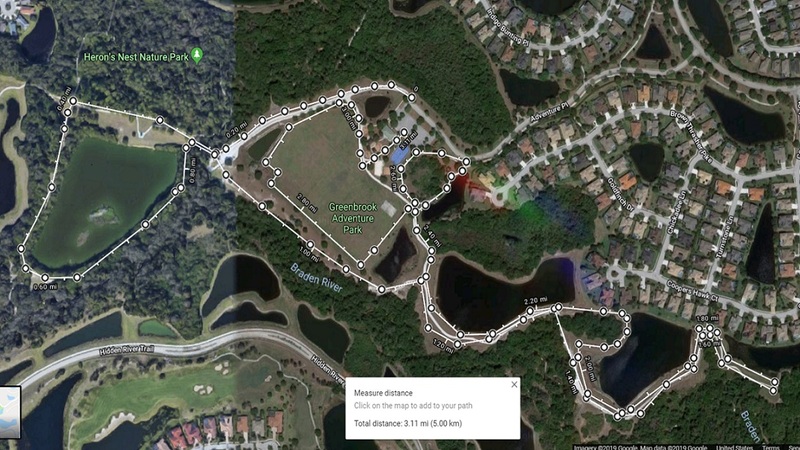 Direction: From I-75, exit SR70 heading East, turn right onto Greenbrook Blvd (traffic light); follow the road until you will see the entrance for Adventure Park on the right. Signs will be posted along Greenbrook Blvd to show direction to the park. Parking: Free parking at the park. Please arive early to have plenty of time for parking.